Folding door is intentionally designed for indoors to divide your room or area to have privacy. We usually used folding door to make your space wider. This style of door will take up a few inches in the opening, but it will save your problem in terms of spacing and making your room look wider. Aside from making your area wider, it can also serve as an interior decor. When it comes to installation, folding door is easy to install and definitely easy to use and maintain. Folding door can be used in both commercial and residential areas. We have a client from Trece Martires City, Cavite and sent us his door area measurement via email. He told us that recently they used a Varifold Accordion Door made of particle boards, but unfortunately the flood destroyed it. We visited their house in Trece Martires, Cavite to accurately measure his door areas, but reimburse to them the transportation expenses of our staff. He chose White PVC Folding Door due to clean house look it brings, functionality and durability. DS Windows offers different kinds of blinds like Combi Blinds, Mini Blinds, PVC and Fabric Vertical Blinds, Wood and Faux Wood Blinds and Roller Blinds with Different thickness of fabric. 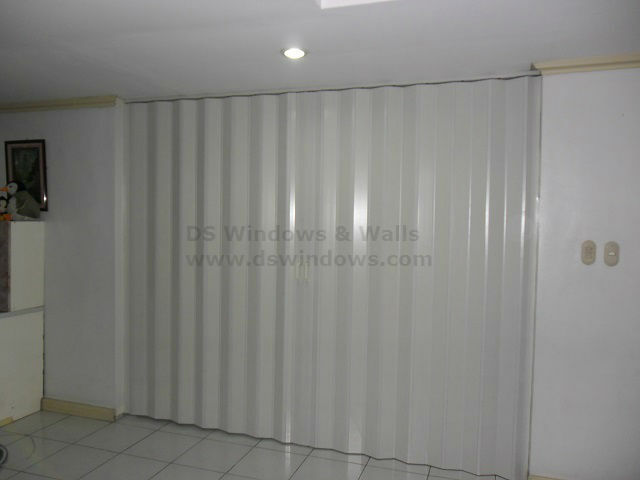 DS Windows and Walls is open to Install and Deliver products in provinces. Aside from Blinds we do also have Vinyl Wallpapers, PVC Accordion Doors and Carpets. 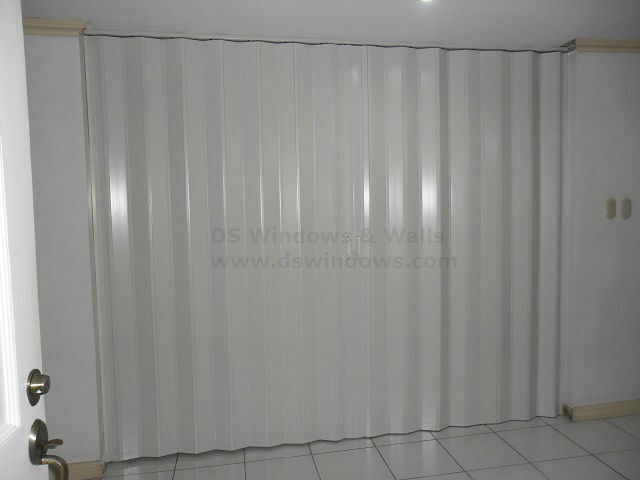 For further inquiries regarding our products and services, just call us at (02) 893-1373/ (02) 403-3262 / 0916-311-3909 or email us at inquiry@dswindows.com. You may also visit our stores located at 2nd level Pacific Mall Lucena City, 3rd Level Robinsons Metro East, Pasig City and 4th Level Waltermart, Makati City. You may also browse our Facebook Page and like us at https://www.facebook.com/windowblindsphilippines and https://www.facebook.com/blindsphilippines.